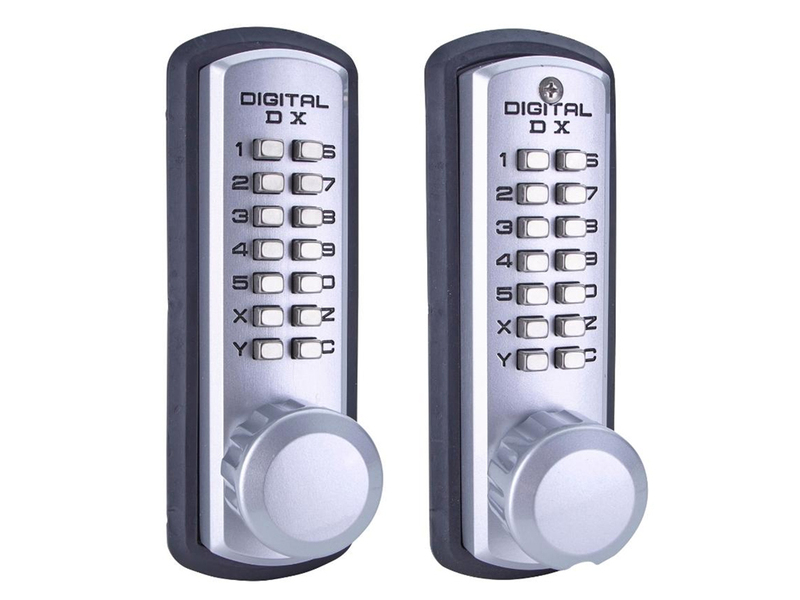 These keypad combination locks must be locked manually. 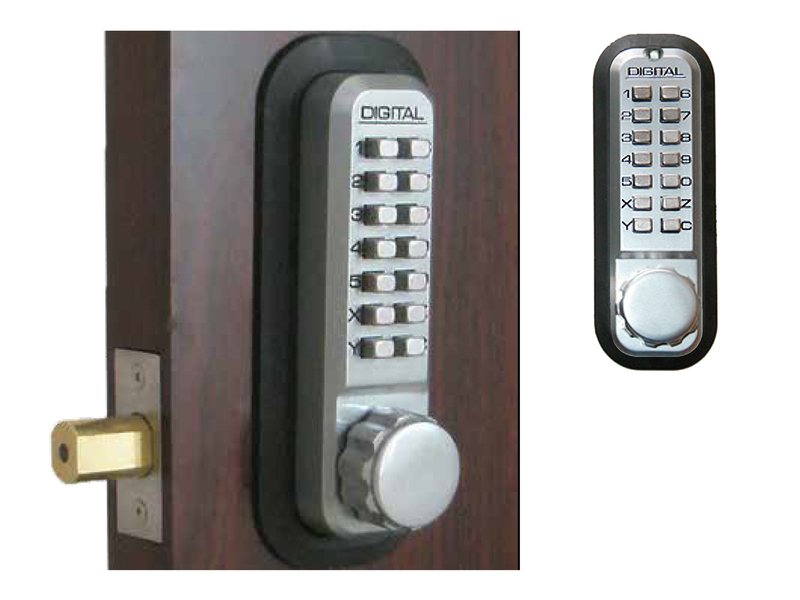 They have a deadbolt which will stay unlocked until you turn the knob and throw the bolt to lock it by hand. 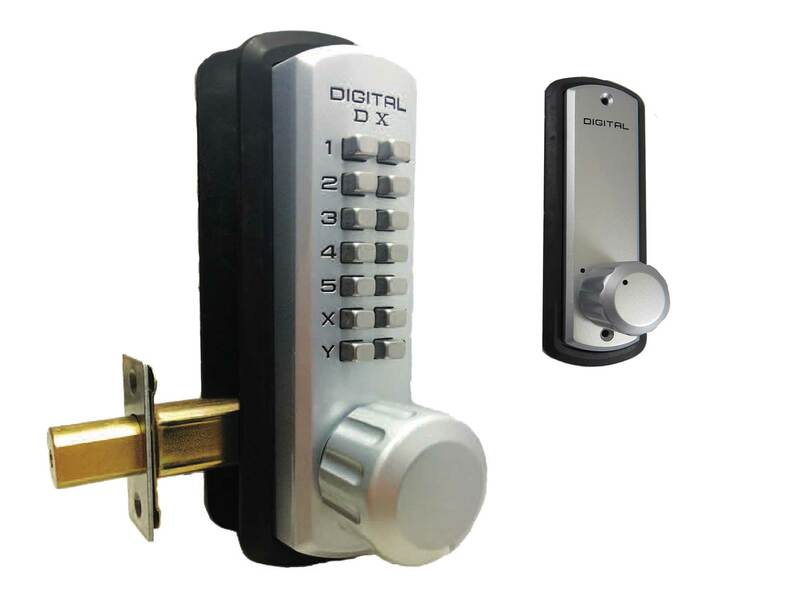 These deadbolt keyless locks are surface-mounted on the sliding door. 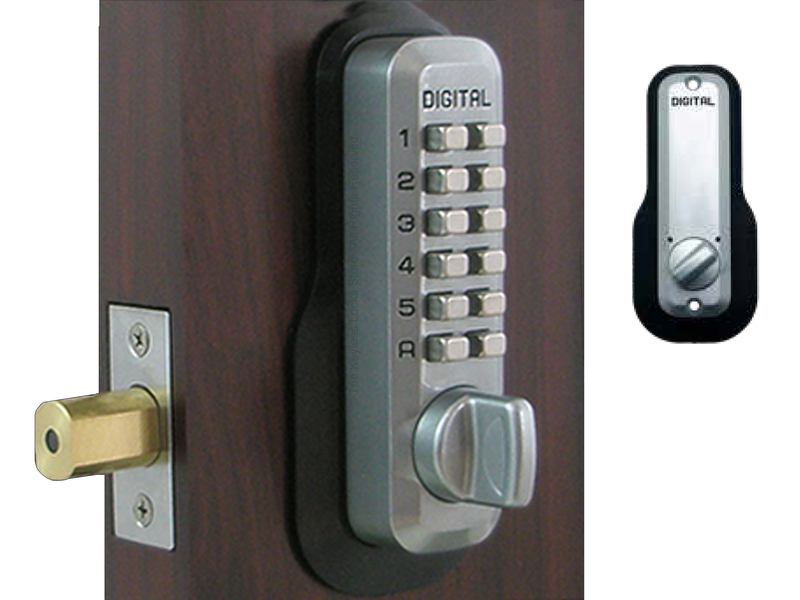 They have a hook-shaped bolt which rotates into place when you turn the knob to lock the door. 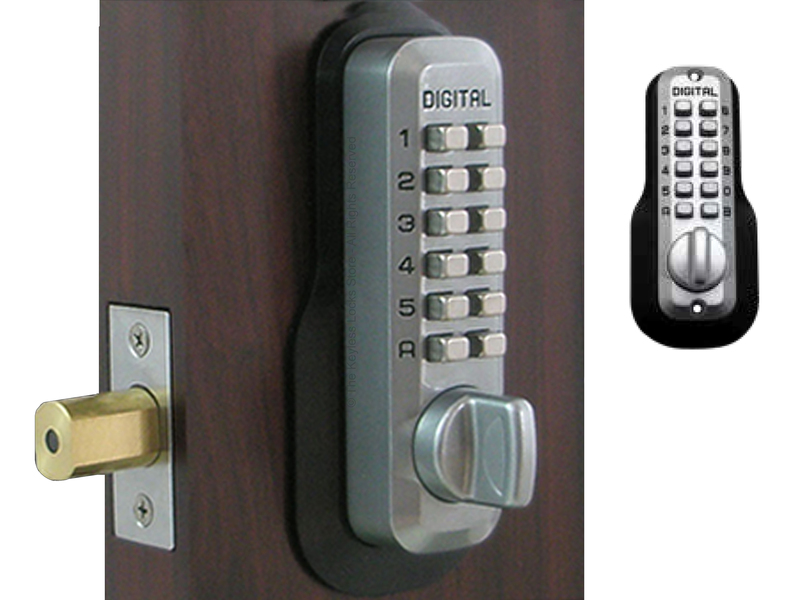 The hook hooks into the special strike plate which is included with each heavy duty lock. 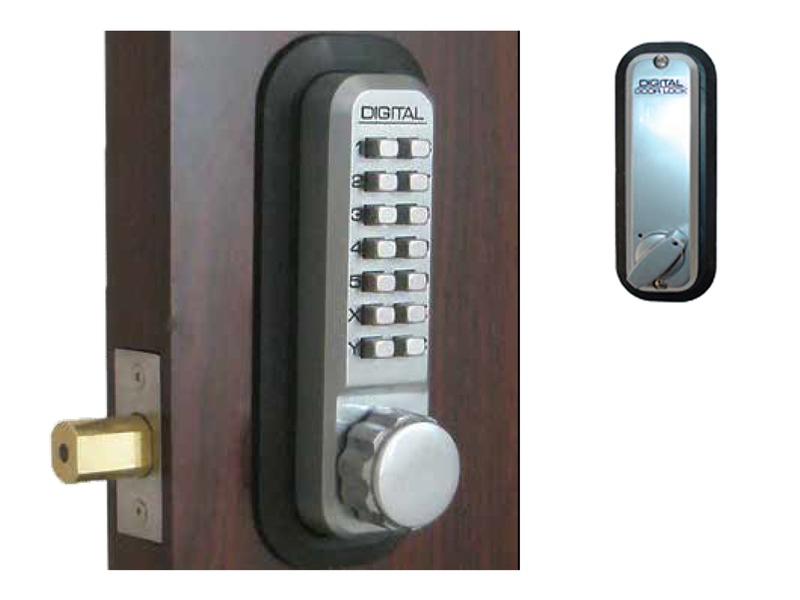 You can also view our auto-locking outdoor keypad locks.